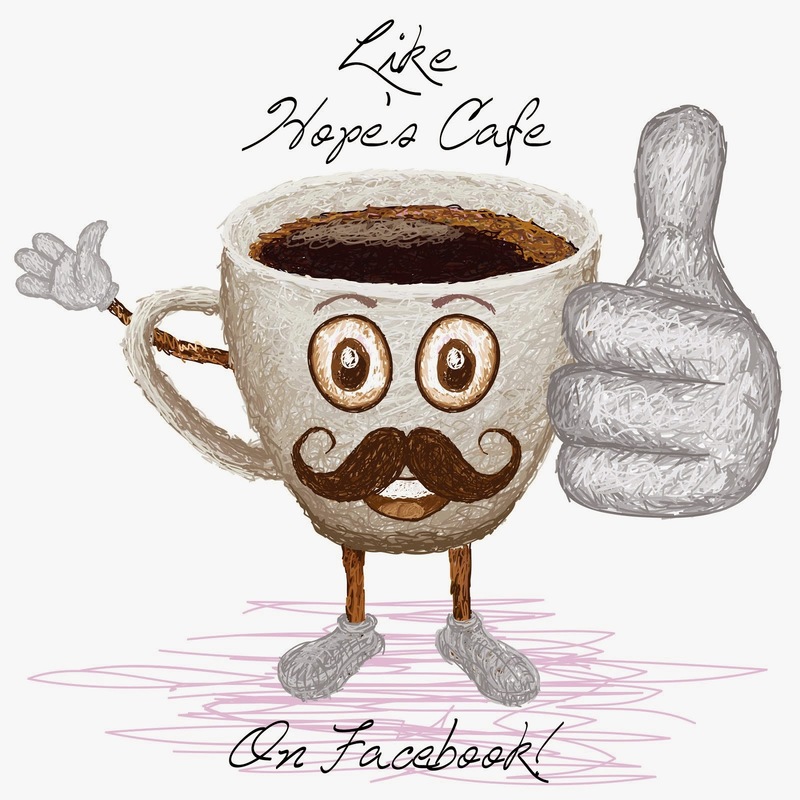 Hope's Cafe: Instant Hydration With Deuter Hydration Back Pack! 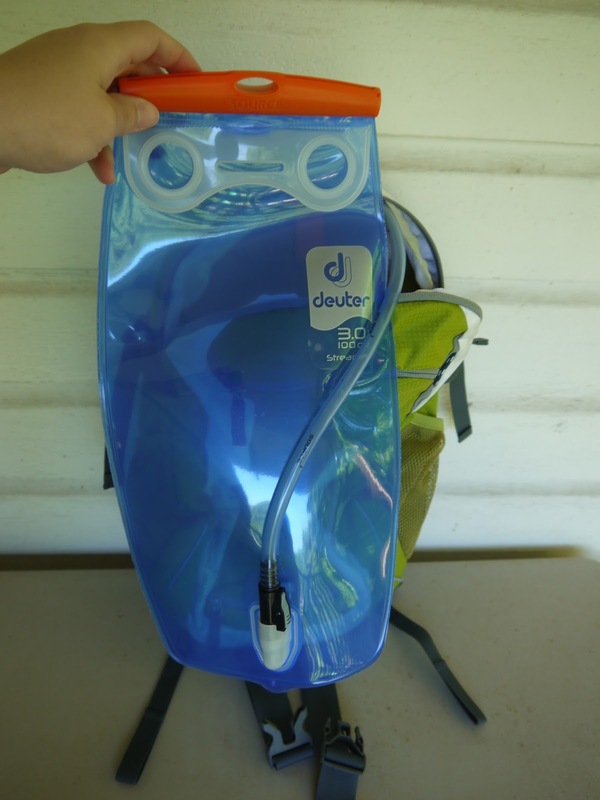 Instant Hydration With Deuter Hydration Back Pack! Now that warm weather has arrived in full swing, I have started taking any activity possible outside. Whether it's my martial arts training, morning devotions, or just reading a book, I love doing it outside. Of course, I also love that I can get back into the routine of walking or biking several miles every morning as well. One thing that has always been somewhat of a nuisance for me on these morning jaunts, is keeping water handy. Of course putting a water bottle holder on the bike is easy enough, but many times that one bottle just isn't enough when you're biking any real distance. And as for walking, I like to swing my arms, so carrying a bottle is out. 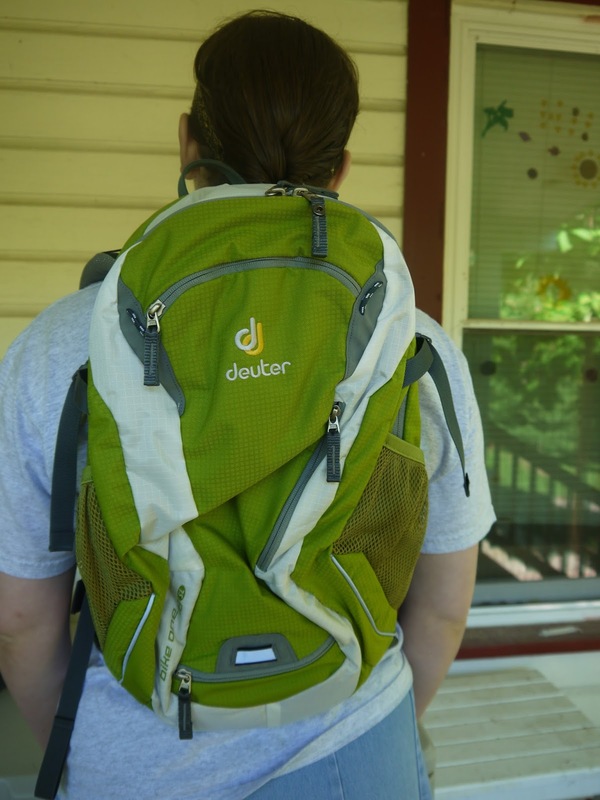 However, Deuter has the perfect solution to this problem, and I am so excited to share it with you! 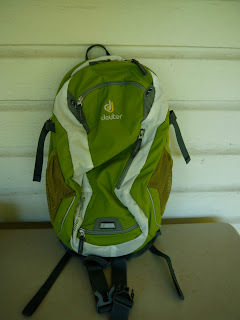 Deuter sent me the Bike One 18 SL Hydration Pack. At first glance, this appears to be a small backpack, which it is-but there is more than meets the eye. Tucked nicely inside a special pocket, is a "bladder". Simply fill with water, and you're ready for your next outdoor adventure! I love how easy it is to get a sip of water now while exercising. The tube runs through loops on the pack's straps, so it isn't flying in your face, but is handy whenever you need some hydration. With this pack, I don't need to worry about dehydrating, or running out of water halfway through my bike ride. Of course, in addition to the handy water carrying feature, this pack also has all the great aspects of a backpack. 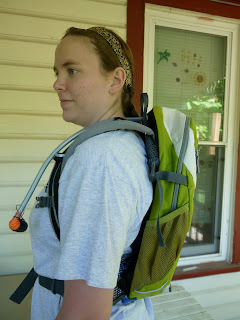 I can carry any necessary accessories, even put a water bottle in the pocket so I can refill the bladder if needed! 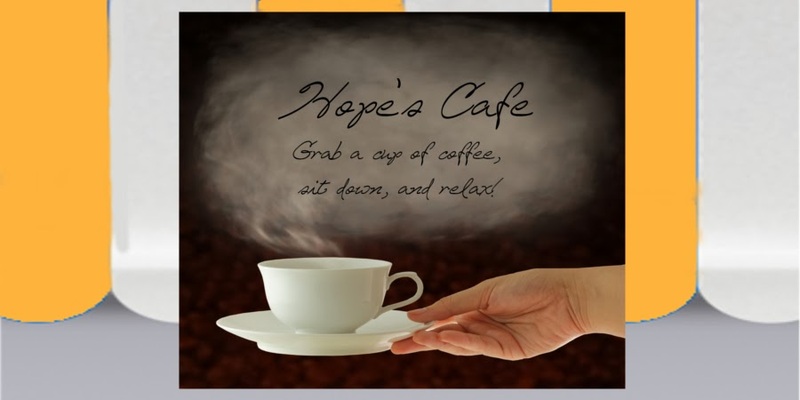 It's perfect for those all-day rides, or a family outing at the state park nearby. It's not something we get to do often, but we enjoy hiking whenever the opportunity comes along, and I plan on bringing this for any of those kind of outings as well. 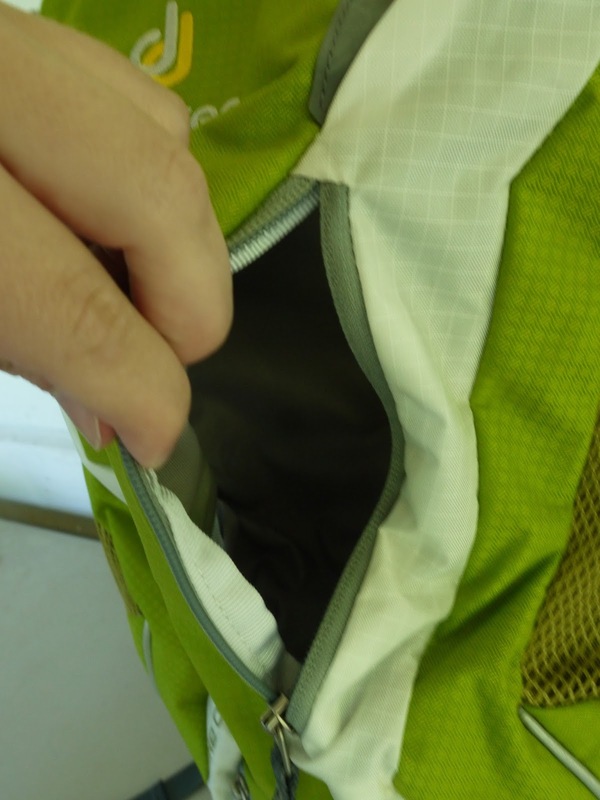 The straps are padded for extra comfort, and it's very lightweight, even when I put snacks, wallet, keys, etc. inside. Plan on being outside much this summer? 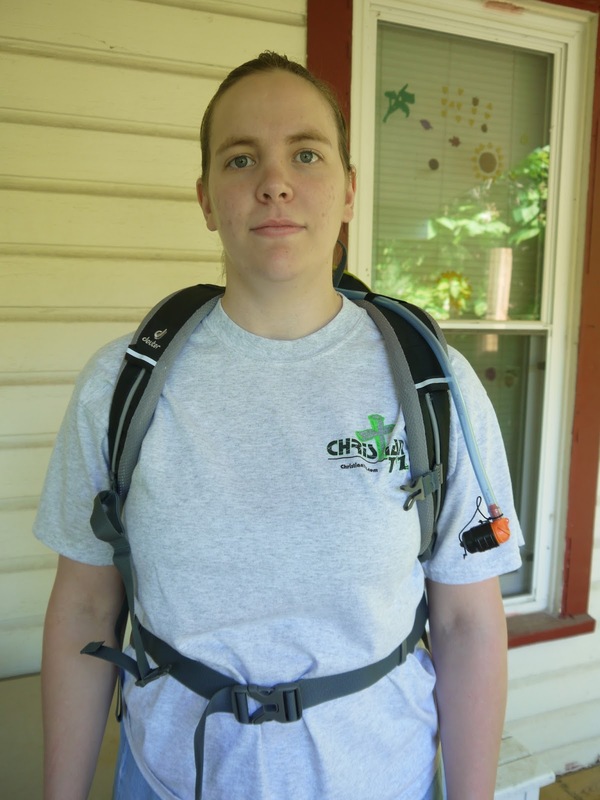 Do you enjoy outdoor sports, bike riding, hiking, etc? Then I suggest you visit Deuter today and check out their awesome Hydration Packs! I think that is really cool. I would just be curious as to how long the water would stay cold/cool. It has been in the lower 90s here already and it is not yet summer. But I love the concept and size! That's for some serious hydration! I'm reminded of a movie I saw awhile ago where this couple were trapped in the desert without water. Made me seriously doubt if I'll ever go hiking again. Are You Maintaining Your Garage Door Correctly? Baking With Nectresse for Tasty Tuesday! Celebrate Iced Tea Month with Red Rose Teas! Rest This Summer With SilkSleep! ENJOY Hydrating Hair Care Pack #Giveaway! Cheesecakes Made Easy With The Cheesecake Moat!! 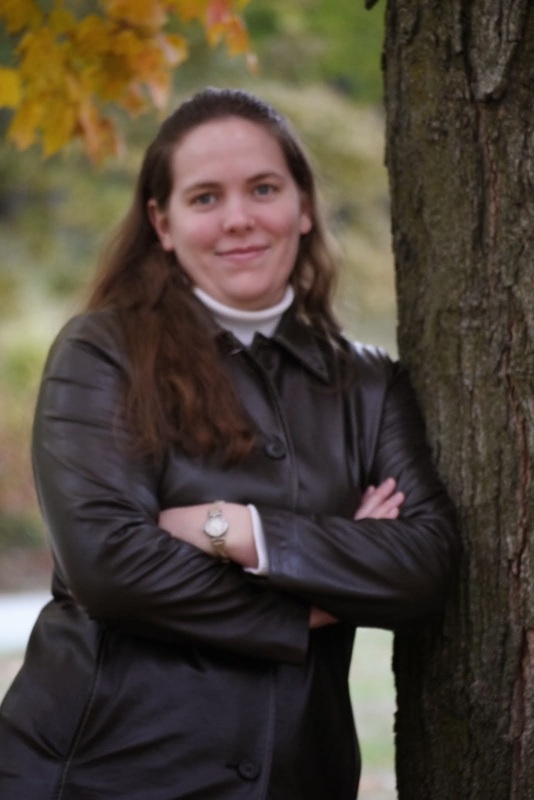 FREE Blogging Class! Start A Profitable Blog! DenHaus Dog Crates Are Awesome!